In the 1980’s and early 1990’s, Steve Beresini was the winemaker at Niebaum Coppola. It was fitting that he then began naming his Black Labs after characters in the Godfather movies. Luca Brasi was the first Black Lab named after a character in the movie. In the Godfather, Luca Brasi was Vito Corleone’s personal guardian. Our Luca was the guardian of the neighborhood and much loved by all. Vito was the next Black Lab and much like his character in the movie, Vito did not like many people. However, Vito Beresini did love his family and his grapes, and he protected his grapes from ground squirrels and birds. The newest member of the Black Dog Ranch family is a female Black Lab. When we were looking for a name for her, we watched all three Godfather movies, but the women’s names did not seem to fit – the names Connie, Kay, or Apollonia were not quite right. After a suggestion from a neighbor, we finally decided to call her Corleone – Corley for short. Corley is now the guardian of Beresini Vineyards. Corleone Beresini was born on a farm October 26, 2014 in Fresno, California and stayed with her farm family until she was 7 weeks old. 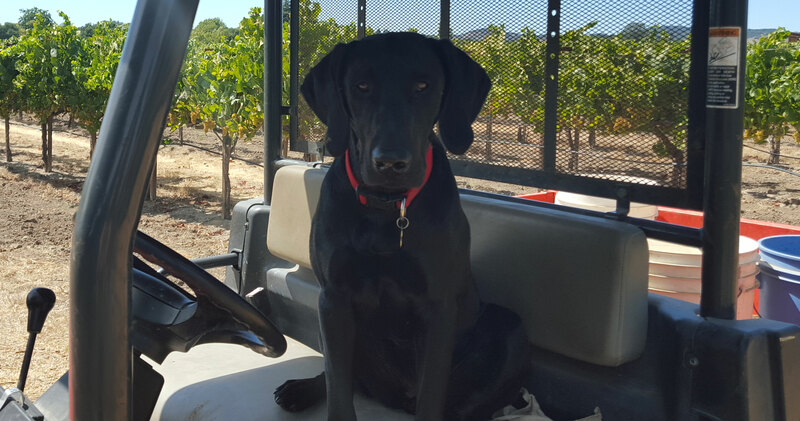 She joined the Black Dog Ranch family in January 2015. Corley is an excellent vineyard worker and farm manager; she rides in the Kubota each day to check on the grapes. Vito Beresini was born on May 20, 2004 (to 2014). Vito was a very noisy Black Labrador, who roamed the vineyard looking for anything that would disturb his grapes. His predecessors Chester (1988 to 2001) and Luca (2000 to 2006) watched over the vineyard before Vito. Thus, our ranch has been named “Black Dog Ranch” in honor of these wonderful and much-loved canines. Roscoe (2006 to 2013) was the exception to the Black Dog theme. 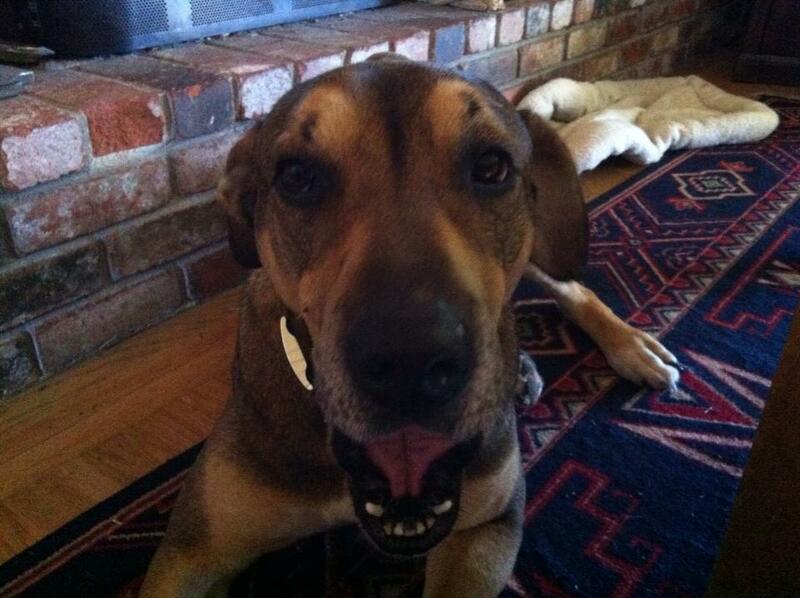 Roscoe was a mix of Anatolian Shepherd and Great Dane. He was the only dog we ever knew that had eyebrows and he would sit on the couch with his feet on the floor! Roscoe was a sweetheart and we miss him very much.